Over a year in the development, the new cloud control panel is now ready for BETA. 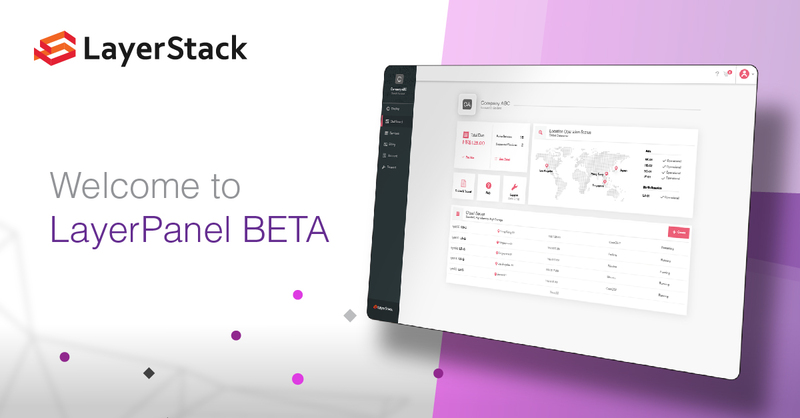 This private BETA will give us invaluable information and insight into how our systems, servers, control panel, databases, and backend infrastructure work together. But more importantly, it’s also a crucial touchpoint for your feedback, so we can learn just how satisfying the user experience is for all of you. LayerPanel BETA will be the first version to introduce RESTful API and User Permission Management, so please bear with us and help us to get the information we need to deliver quality cloud services that perform smoothly at launch. We do not recommend using BETA versions in production, as we’re sure to run into issues – lag, bugs, other performance hiccups, and data loss is possible. The exact release date for LayerPanel final is unknown at this point, but we estimate at least 3 months before things are fully stable. There may still be some smaller API changes, particularly if user feedback requires to adjust new features. However, in general, we will try to keep breaking changes limited. Details may refer to API documentation (in progress). The first phase kicks off will be available to existing customers only. More details at beta.layerstack.com. Our developer team looking forward to receiving your feedback on this BETA release of LayerPanel. Users of the BETA release are encouraged to report any bugs, issues or errors at feedback.betalayerpanel.com. The pricing is applicable to new server launches. Existing servers (L-series service plan that launched on and before March 13, 2019) have to be rebuilt in order to get specification and plan adjustments due to deployment structure. Please aware that data and snapshot image will be lost after rebuild, so remember to run a backup before that. We’d love to know what other cloud server types or sizes you’d find useful. Let us know at the feedback page. On Feb 12, LayerStack’s cloud servers and control panel were unavailable in Hong Kong and Los Angeles data centers. We sincerely apologize for the outage on cloud servers. We have restored access to all accounts and have made changes so that the service will be more resilient in the future. We know that you depend on our services, and an outage like this is unacceptable. We would like to apologize and take full responsibility for the situation. We always strive to provide you with the best possible service and truly value your business. As part of that, we would also like to provide more detail about what happened. This incident was a result of a failure in allocating IP addresses to VM instances from the specified subnet by DHCP server under OpenStack Neutron. The failure caused our cloud servers to receive an RPC error and continuously try to configure the networking bridge. This resulted in a connection failure issues to cloud servers, with the effect that some customers were unable to access their cloud servers and unable to manage their cloud servers via LayerPanel. The development team has changed the system setting to handle the RPC bug, so that most of the services were fully stabilized within a few hours of the initial incident. However, some customers remained impacted for a longer period as we need to perform IP mapping manually and ensure those IP addresses can present on their cloud servers. As noted above, the duration of the incident was primarily influenced by the DHCP server. While it should be a rare occurrence that this type of action would happen again, we are in the process of reconfiguring the Neutron setting between IP addresses and VM instance. We expect these improvements to be completed over the next few days. We came up with a new idea of developing a new cloud orchestration ourselves since Q2 2018. The aim is to provide a more stable and fully under control environment that does not subject to Openstack. As such, we will also launch a new cloud control panel to support the new features provided by the new orchestration, which helps us to deliver a platform that you can depend on to run your mission-critical applications. We wanted to share this information with you as soon as possible so that you can understand the nature of the outage and its impact. We are now fully through the backlog and have restored service so all customers should have normal access from all their cloud servers. In the coming days, we will continue to assess further safeguards against developer error. We want to apologize to everyone who was affected by the outage, and we appreciate the patience you have shown us as we worked through the issues. High Memory is our third cloud servers offering and it’s a response to the need for higher RAM performance for memory-intensive workloads such as databases, memory caching, and rendering. See the chart below for specifics or visit our simple pricing page. The new server types offer more memory resources than any other cloud server type that we currently offer, with up to 24:1 ratio of RAM to CPU, start at 24GB of memory and scale up to 96GB, and range from HK$315 to HK$1,678 per month. A balance of compute, memory, and network resources. Suitable for most general purpose workloads. Specifically designed for memory-intensive workloads such as databases, memory caching, and rendering. Optimized SAS storage with standard CPU performance for running workloads with higher storage demands such as mail server, file server, archiving, etc. 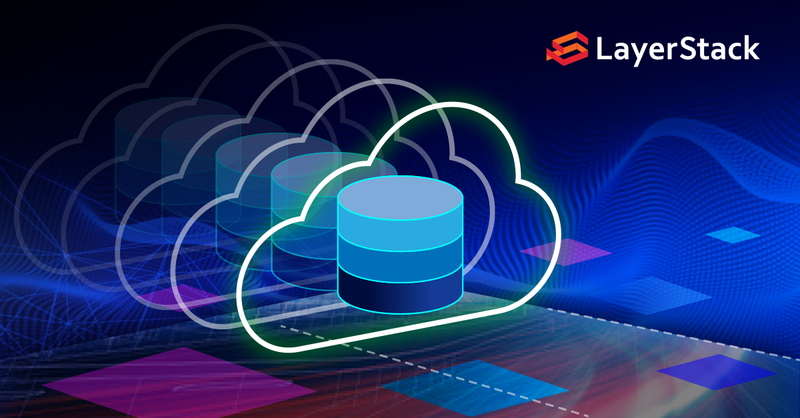 LayerStack is helping thousands of customers consistently improving their cloud experience and continue to invest and innovate in the design of reliable and high performance cloud infrastructure. Are you ready to join us? We are glad to announce that Cloud Expo Asia 2018 had come to an end. 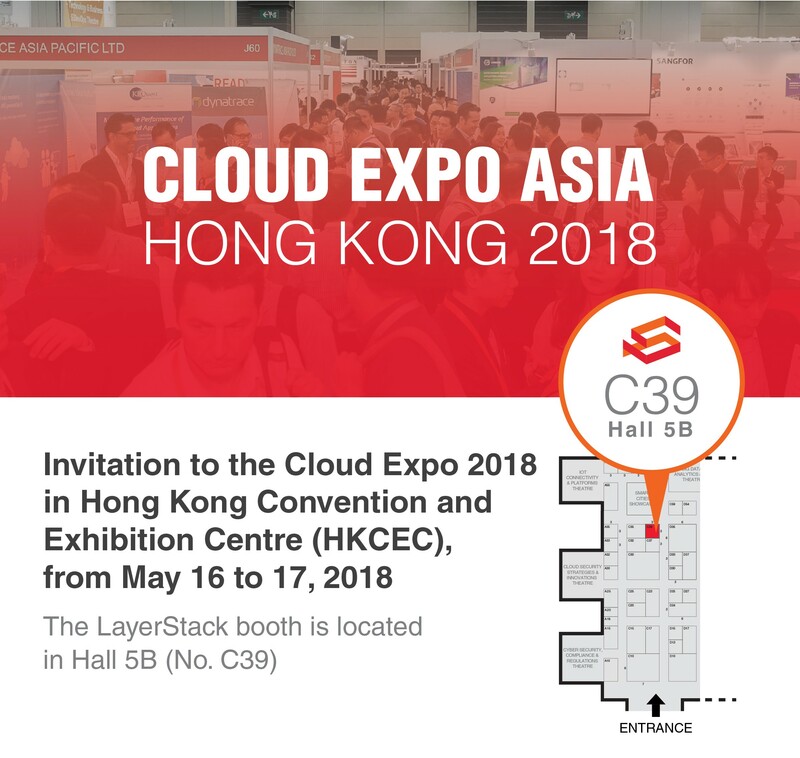 We are more than thankful that you visited our booth at Cloud Expo Asia 2018, held in Hong Kong Convention Exhibition Center. We are excited to have quite a lot of visitors to our booth. It was a fine opportunity and our pleasure to present our latest products with you and we hope you truly enjoyed the experience with us. If you have any inquiry about our exhibition and products, please do not hesitate to contact us. Again, thank you for your visiting. We believe that user experience and security are important to customers. That is the motivation why we keep improving these two criteria. In the early 2018, LayerStack launched a new panel feature, Two-factor authentication, to enhance the security by applying an extra layer of security in login level. Two-factor authentication, also known as 2FA, is a way for identity verification. It not just requires the login name and password, and also a set of information that securely known by the users. 2FA could help preventing your account being hacked so as to protect customers’ information. Users need to enter their preset login name and password together with the time-based-one-time password (OTP) generated by OATH mobile application like Google Authentication, Authy, Duo, HDE OTP, etc. This OTP is valid to certain devices that only you have access to, it could be any devices. After enabling 2FA in LayerPanel, customers need to use their 2nd factor to login every time. Using mobile application for generating token guaranteed that you are in full control of the security because you are the mobile owner. Passwords alone may not be as infallible as you think. Cyber attackers have the power to test thousands of passwords combinations in seconds. So if you are not using 2FA, we highly recommend you to enable this security feature to protect your account as well as your cloud servers. It will offer you an extra layer of protection, besides passwords. It’s hard for cyber criminals to get the second authentication factor, they would have to be much closer to you. This drastically reduces their chances to succeed. We welcome all valuable comments and suggestions from you and we would like to make sure you enjoy our service provided. Please leave your feedback in LayerPanel and it will definitely help us to be constantly improving our services. We cordially invite you to take a detailed look at our cloud products and discuss your needs and ideas with our experts. See you soon in HKCEC? We are looking forward to meeting you there! Your presence will do us great honor and we are happy for the opportunity to meet with you. Hope to see you there. 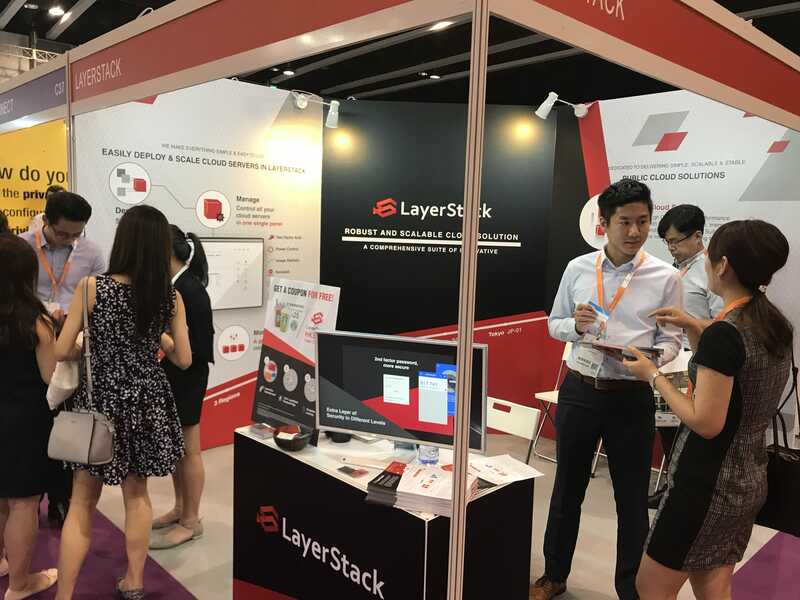 In early October, LayerStack launched CloudNet in both Hong Kong and Singapore data centers to meet a high demand on a mechanism for flexible resources management. Indeed, we succeeded in developing and deploying a more elastic cloud environment upon the clients’ request. Most of the CloudNet users can now scale up, scale down and scale out instances at any time based on their needs or tasks’ requirement. Allocate resources to multiple instances for different departments. Operate different POS applications for different branches and different brands. 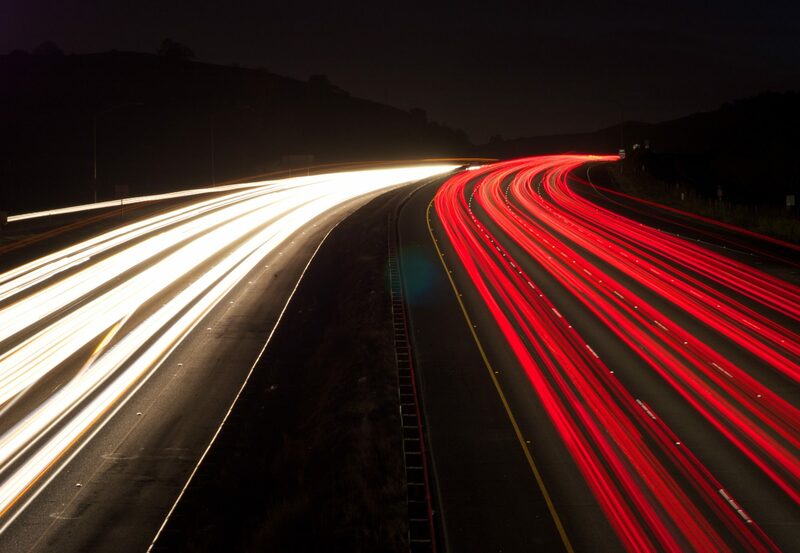 Set up two or more instances for load balancing web traffic over multiple instances. Centralized management and simplifies operation for different clients. Ideal environment for testing and development, especially for the short-term project. Easily duplicate instance with the same configuration, applications and workloads in minutes. Easily create customized instances with different resources to address different client’s needs. Immediately executing a program by creating a staging server for testing and development via private network. Scale the database instance up and down easily for better extracting, transforming and loading (ETL) performance. The standard service plan comes with 8 vCPU, 16GB RAM, 400GB SSD storage, 4 IP addresses and 50GB image storage at the price of US$75. You can also order some extra compute resources based on your needs. LayerStack expands its product set in Q4 of 2017 to support a great variety of IT purpose like data management and cloud storage. Regarding the customers’ demand on reliable cloud server with high storage, we are glad to introduce a new service – High Storage Cloud Servers to assist developers and enterprises to cope with storage-centric challenges. LayerStack’ s High Storage Cloud Servers leverages the storage for Customer Relationship Management applications, file sharing, backup, database, mail server, etc. This storage intense service contains 500 GB, 750 GB or 1000 GB storage which cost only half of the standard plan. It is designed for enterprises or individuals who simply need a cost-effective high storage cloud solution with standard compute and network performance. This high storage capacity server is perfect to serve as a backup server to protect your critical assets including operating systems, applications, website data and database for recovery purpose. High storage cloud servers can be set up as a database server for storing space demanding files which are not frequently access at a lower cost. It is essential for a company to have file sharing systems and collaboration applications like Team Messaging Apps or Project Management Apps which enhance the efficiencies of the employees. This new launched cloud server also enables our customers to operate CRM application for storing and managing large amount of clients’ information at a lower price. Building mail server could be the best solution for your business to handle and store plenty of business emails in/out every day. It also enables you to access the raw email files and check the mail server logs. Archiving business emails, conversations or messages for internal records which is traceable for compliance requirements. Get started with LayerStack High Storage Cloud. 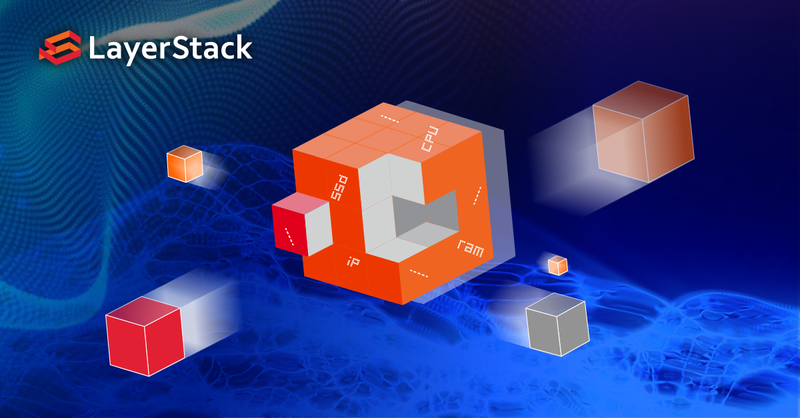 For more details please visit https://www.layerstack.com/cloud-servers. What is the best way to protect your business data? A ransomware named WannaCry impacted over 150 countries and 200,000 computers in just a few days. Victims include government departments, hospitals and other enterprises. Exploiting vulnerabilities in Server Message Block service (SMB) in Microsoft operating system to spread and execute intrusion attacks viciously. SMB is a system for file sharing between computers. WannaCry used its defects to implant the ransomware. WannaCry locked and encrypted all files on a computer system and extorted the victims for digital currency Bitcoin. Nearly all of the victims failed to respond promptly which resulted in victim’s data loss. This revealed the fact that many enterprises and individuals lack consciousness of cybersecurity. WannaCry used SMB defect to enforce attacks. Users could enhance the precaution by disabling the SMBv1 file protocol in Windows to avoid the attack. Moreover, regular updates of Windows, other applications and software will help significantly reducing the potential defects. Apart from installing Anti-Virus software, you could enhance the cyber-safety awareness of your employees. The following 4 steps could simply reduce most threats and losses of your business server. Is Anti-malware enough for protecting your data? Anti-malware could only protect your server but not data. However, any cyberattack or your careless “mis-click” could cause losing client data and important business information. Therefore, backup solution is one of the best ways to secure your data. How could Acronis Offsite backup solution protect your data? Acronics Offsite Backup offers image and file backup and restore solution. The backup management system is user friendly that you can easily set backup schedule for daily, weekly and monthly backup. Besides, your data will be protected with high secure AES-256 bit encryption. Most importantly, all the data will be backed up to Acronis Singapore datacenter to safeguard your data recovery. For more details of Acronics Offsite Backup solution, please visit https://www.layerstack.com/acronis.